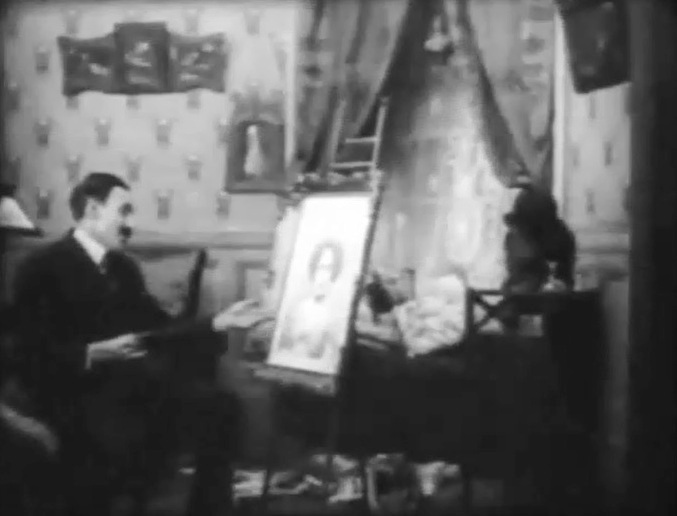 "Lucky Jim" is a short comedy directed by D. W. Griffith. This film illustrates the work of cinematographer Billy Bitzer, a star of Silent Hall of Fame. 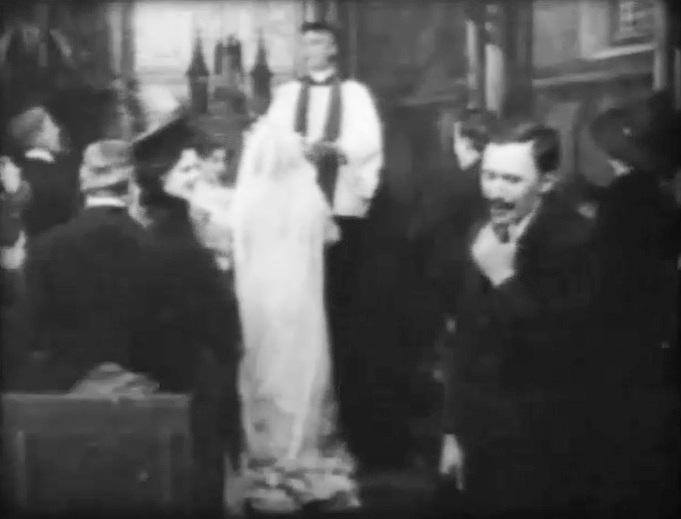 Arthur V. Johnson and Florence Lawrence have bit parts as wedding guests. Mack Sennett is heartbroken when the woman he loves marries another man named Jim in "Lucky Jim" (1909), directed by D. W. Griffith. 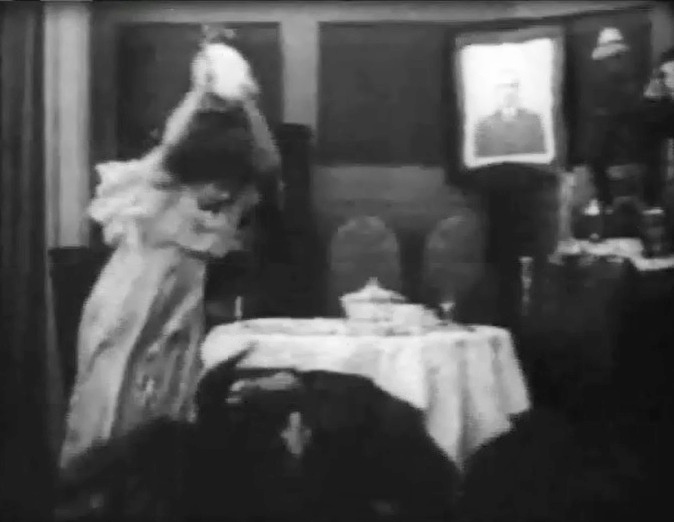 Florence Lawrence is but one of many guests laughing at Mack Sennett's misfortune in "Lucky Jim" (1909), directed by D. W. Griffith. 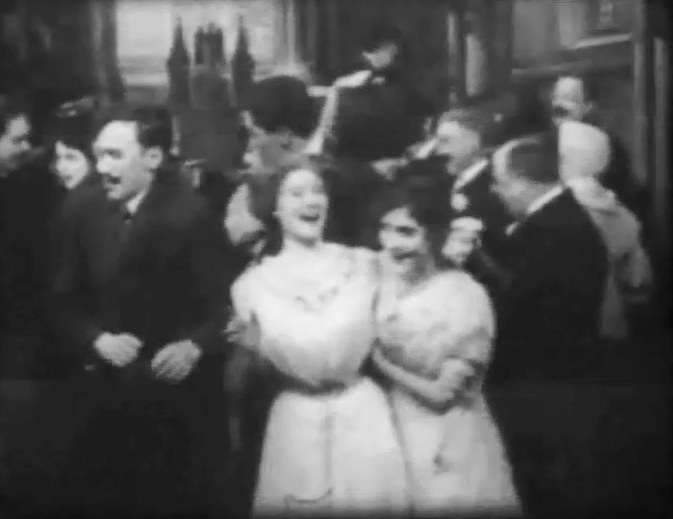 Florence Lawrence does some more hearty laughing as Mack Sennett suffers in "Lucky Jim" (1909), directed by D. W. Griffith. Mack Sennett spends his days envying this lucky guy Jim in "Lucky Jim" (1909), directed by D. W. Griffith. 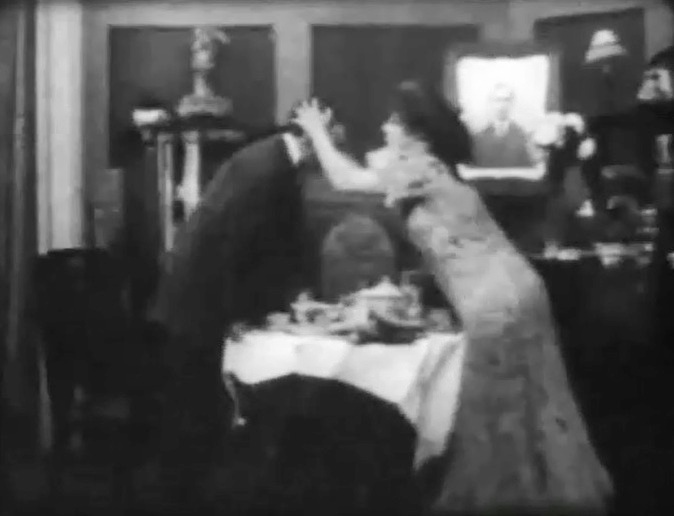 Marion Leonard gives her husband a beating for protesting an unsavory meal in "Lucky Jim" (1909), directed by D. W. Griffith. 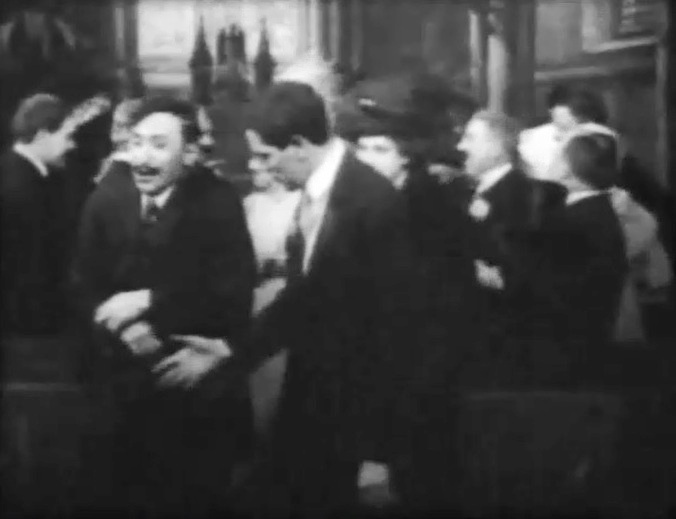 Mack Sennett feels lucky to finally get Marion Leonard after Jim dies in "Lucky Jim" (1909), directed by D. W. Griffith. 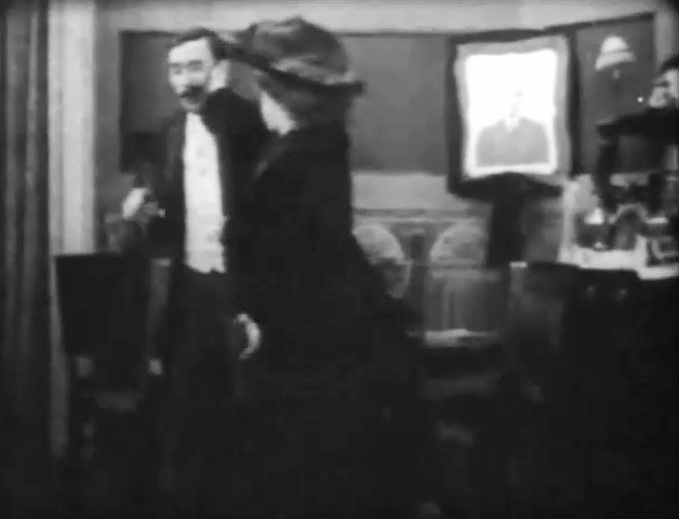 Mack Sennett gets some hard slapping from an ill-tempered Marion Leonard in "Lucky Jim" (1909), directed by D. W. Griffith. 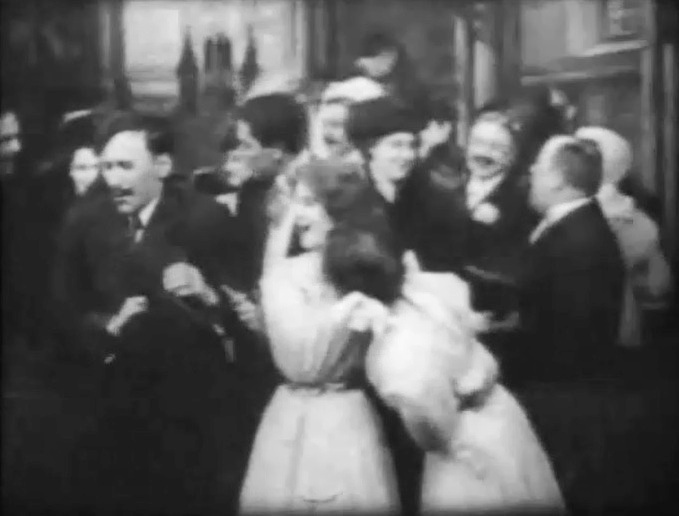 Mack Sennett gets a real beating from Marion Leonard for protesting an unsavory drink in "Lucky Jim" (1909), directed by D. W. Griffith. 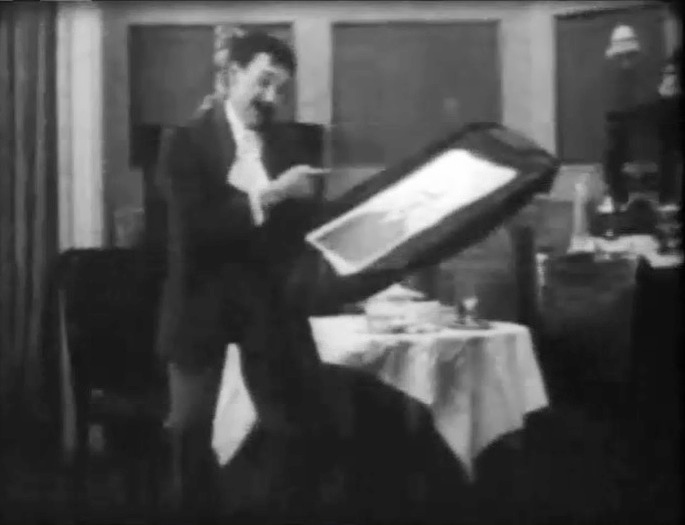 Mack Sennett envies this lucky guy Jim again in "Lucky Jim" (1909), directed by D. W. Griffith.